Are you thinking smart and connected? Ensuring that all aspects of your business are agile and responsive is particularly important in these uncertain times. Choosing the right communication and collaboration tools that will maximise effectiveness, productivity and protect your bottom line is not easy. If you want to make a positive difference to your business communications, then let our specialists provide the connectivity, high-quality voice and collaboration tools that you will need to achieve great results. You can trust us to provide independent, appropriate advice, expertise in new technologies, efficient friendly service and value for money. Do call us now on 0118 920 9420 or email us at info@com-solutions.co.uk to discuss your next project and to understand how we can add value to your business, we’re always ready to listen! In our last UC newsletter we talked about how to categorise users. This week we’re going to look in more detail at the Desk-based user profile and the devices that best suit their needs. 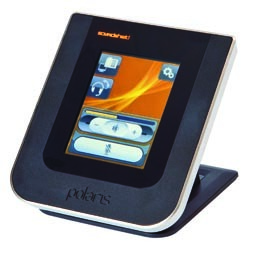 The desk based user spends the majority of their day at a fixed work-station and requires headset connectivity with either a deskphone or a PC softphone via USB. Many offices these days tend to be busy and open plan, so assessing the background noise level is a factor in choosing your headset. Noise cancelling is a must to reduce the amount of noise transmitted to the caller, ensuring calls are kept confidential. If noise levels are particularly high a 2-eared design may be preferable to block out background noise for the headset user. Another consideration is mobility. If staff need to multi-task and move around the workplace whilst on the phone, a wireless headset can be invaluable. Have you got telecommuters, mobile employees, distributed work teams and customers and partners in different time zones? If so, how big is your carbon footprint? And how much are you spending on travel a year? Working effectively and productively over distances is difficult and expensive. Time is lost while searching for contact information, emails are missed and big travel budgets cost the company unnecessary money. This means you are missing out on opportunities. What do you do if you need to connect people living at opposite ends of the country or even world? What do you do if you have too many messages arriving on a variety of devices? By implementing Unified Communication solutions, such as Lync, a company can efficiently share information and help their staff enjoy a better work/life balance by reducing the amount of time they travel and search for information. Unified communications or UC is the integration of various communication channels (including IM, email and voice) into one user interface. The general consumer example of this would be Skype. From a business viewpoint Microsoft Lync is becoming the Unified Communications client of choice. Many organisations have already implemented this and others are expected to follow suit within the next 2-3 years. This type of communication has been proven to increase productivty by reducing wasted time and maximising the methods of communication between colleagues and customers. Unified Communication implementation can start at using your PC with your telephony system to maximise your availability on different communication channels. Some companies have implemented Unified Communications comprehensively (the integration of telephony, PC, mobile, email, IM and others). This allows these respective organisations to reach new levels of productivity by being able to communicate wherever you are through a variety of devices. Once you have Unified Communications in place it is important to select the right headset for your needs. 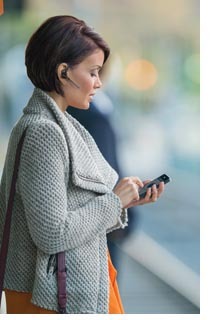 Headsets free up your hands and will allow you to work while on the phone. This increase in productivity coupled with the benefit of UC will see you gain a return on investment in no time at all. 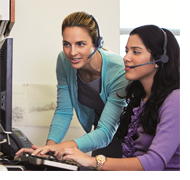 Click here to take a look at our Unified Communications headset buying guide.